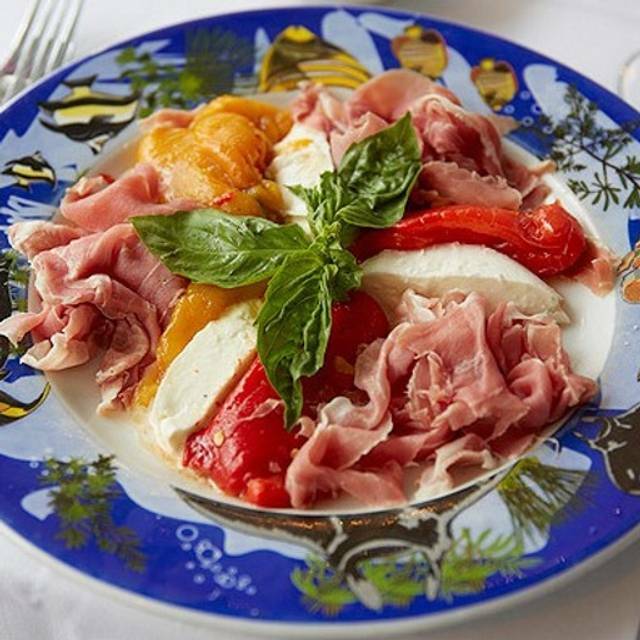 You must make reservations at least 5 minutes in advance of the time at Osteria Del Teatro. 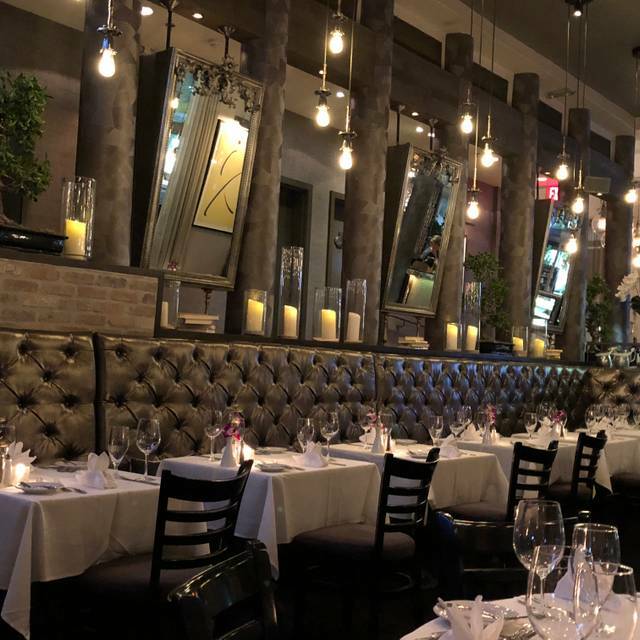 There is valet in front of the restaurant or you can park at 13th street garage on Collins Ave.
Osteria Del Teatro is a fine dining Northern Italian restaurant with lots of Seafood influence. We have been in business for almost 30 years. 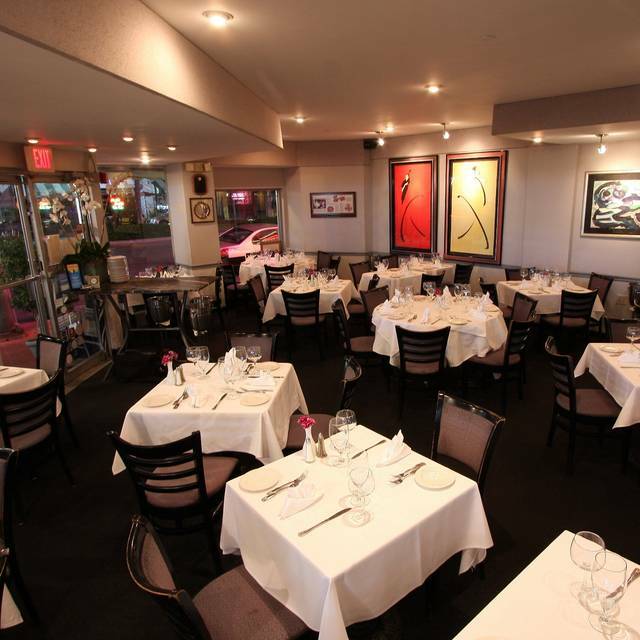 We are the oldest Italian restaurant in South Beach. 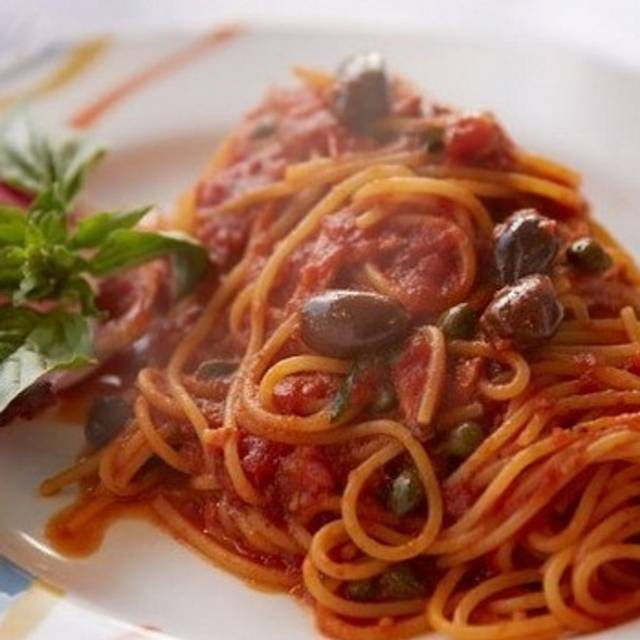 We offer a very extensive menu with Homemade Pastas, Breads and Deserts. One of the reasons we have been so successful is that we only use the freshest and best products available. The other is that we provide excellent service. It is important that our customers feel at home when they enter our restaurant, Hence all our "Regulars". Look forward to you joining us and becoming one too. Homemade Black squid ink linguine with Jumbo Lump Crabmeat in a curry sauce. It is not what it used to be when it was located in Washington street. It had more character and charm. The owner would come to the table and greet you, chat and offer you things out of the menu. Now the service since the tip is included already on your bill, do not pay attention to small things that make a big difference. They should teach the cook how to make a decent taste satin. Dough was still raw. It feels more like a tourist trap. 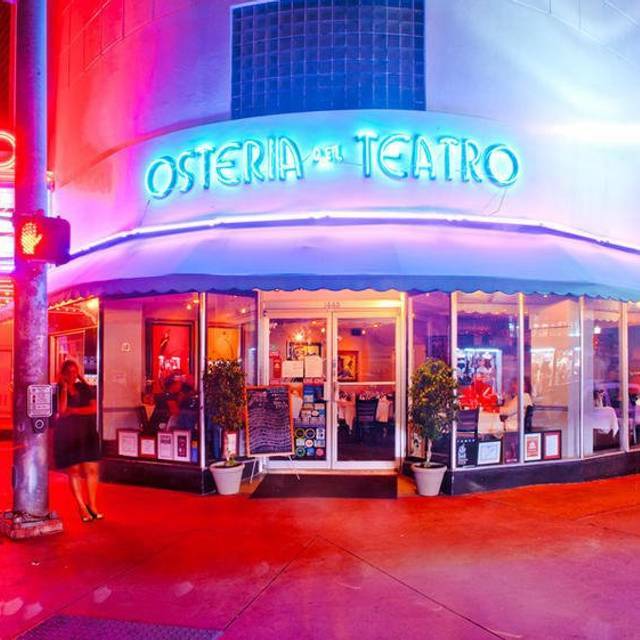 The last time we ate at Osteria was when it was located on Washington. It certainly has gone downhill since. The menu has far too many options. The daily specials are overwhelming. No kitchen can do a good job with so many items. The staff tried to be accommodating, but ended up asking every 10 minutes if everything was ok. A little too much. Despite the restaurant being less that half full, everything took too long to prepare. My wife's black pasta has a weird lemon sauce that certainly did not match the flavor of the pasta.The sauce on my Linguine Vongele was almost like a soup. Very overrated. We had such a great experience, food, service and Gilbert's welcoming presence on our first visit during our vacation, that we book a second for our last evening in South Beach. Our last evening in South Beach was made even more memorable, I only wished we lived in Miami so we could become weekly regulars! A fantastic restaurant, thank you to all the staff at Osteria Del Teatro! First time in South Beach. It was a perfect dinner with perfect staff!!! Lovely experience. Delicious food and attentive service. Great job by Gilbert and his staff, once again!! We love service and quality of food. Gusti was a great waiter! Food was excellent, service was even better. We had the Oslo buck and filet. Cooked perfectly. Server Gilbert was welcoming and friendly. Recommended. Fabulous to return to one of our favourite restaurants in Miami in its new location ..
Congratulations to the team ..
Our second time in Miami and coming to Osteria Del Teatro! Amazing food and amazing service! Try the Caprsese and the chicken parm! Waiters and staff were super friendly! Had a wonderful evening meal sitting at a nice outdoor table with great service and really good food. Server was very accommodating, even letting us order a plain grilled chicken breast for our dog. Thanks for a lovely evening. The lobster salad was magnificent as well as the foie gras. You will not leave here hungry! The portions are enough for two. Will be coming back again for sure! Outstanding! Food, service, ambience all perfect. Celebrated a 75th birthday that night and the restaurant was more than accommodating. Although we love this restaurant and visit it every time we come to Miami, this time it was disappointing. Service was poor, glasses were always empty. We were not offered the day’s special, unlike the table next to us. In the past, waiters were eager to accommodate and actually we were suggested modifications to all the plates. This time we were told flat out that they couldn’t modify anything, not even switch one type of pasta to another. We were not offered dessert and had to request it. Obviously we were not offered an expresso or coffee, in an Italian restaurant!!!. This is very sad because as I said, we used to love the place and recommended it to everyone. Now we will think twice next time. Great place with good food and excellent service. Very attentive staff and great recommendations on food and drink. We come here at least once whenever we are in Florida. It has been wonderful for many years. We had wonderful knowledgeable service, The table next to us had a different server. It was also their first visit to this truly wonderful restaurant. Sadly, the confusion with which they were served is likely to make it their last. We will be back! Osteria is by far the best Italian restaurant in town . My family and I been eating there since it opened . We are never disappointed . The food is fresh and delicious . They understand the key to good cooking is judicious use of butter . From the very tasty bread to their wonderful desserts , the menu is outstanding . This is of our favorite restaurants in the world. Rafael treats us like family. We know it will be a wonderful night anytime we come here. Overall great food and service by our waiter. Since the restaurant had a great selection, we wanted to try multiple selections, and our waiter gave us a great dining experience. I would give Osteria Del Teatro five stars if they had better desserts—the carmelized apple tart is a mess! 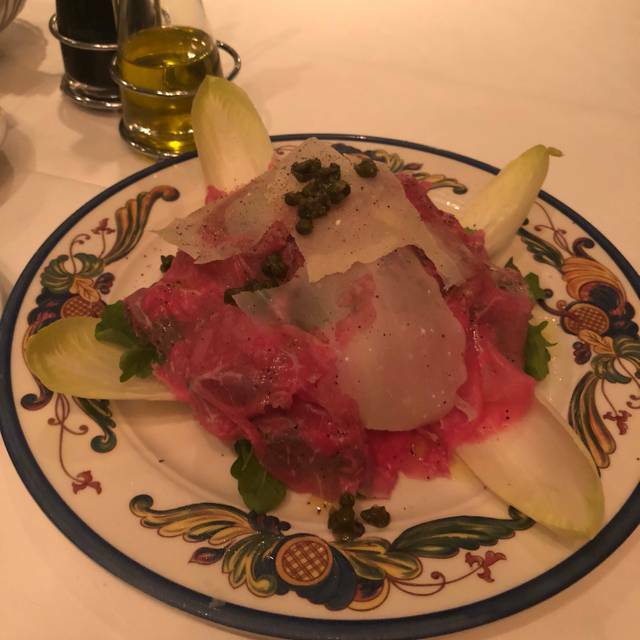 The combo alla griglia appetizer is exquisite—one of the best I’ve ever eaten. The veal is terrific, especially francese style. I wouldn’t recommend the osso buco—the portion is way too big, and lacks depth of flavor. The owner and waiters, and the staff in general, are very attentive. The space is airy and festive. Good food, good service, lovely atmosphere. Polite and mindful waiters to make sure your entire meal goes well. The lobster mango is highly recommended. I ask for it every time I visit. All pastas are superb. 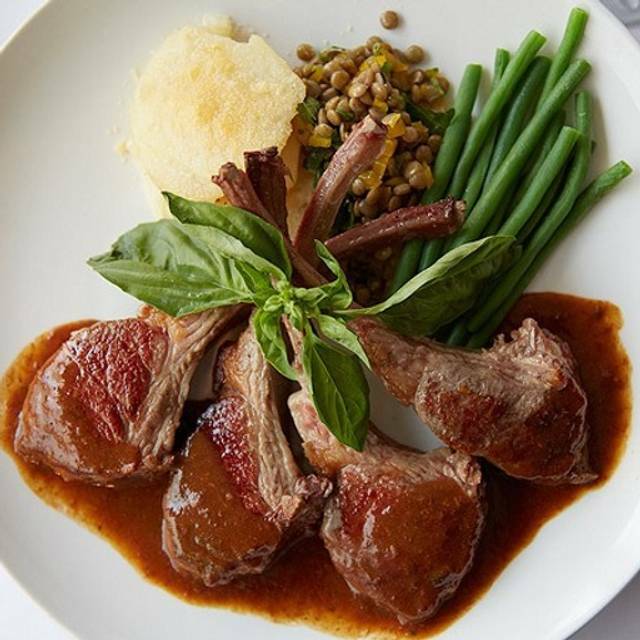 The only concern I had was withe the rack of lamb - it needed more oomph and was bland, but plentiful. Will always return when I visit. 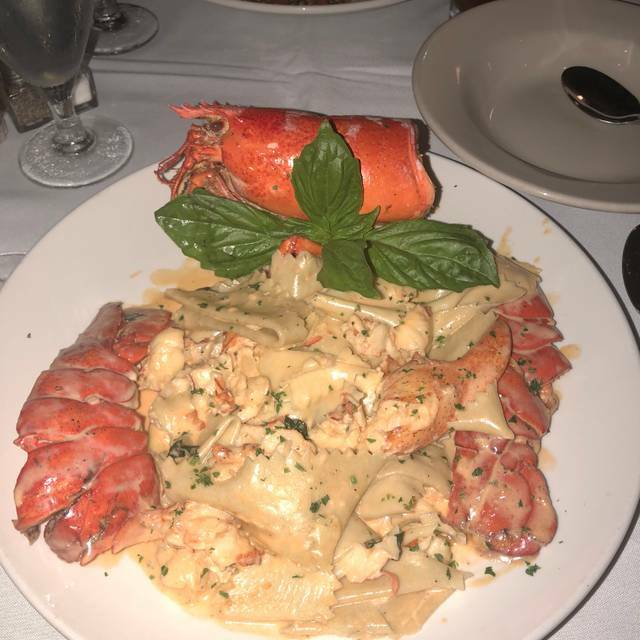 Reliable food, service, and great atmosphere. Carlos and Rafael are simply amazing and not to mentioned the owner who is always go above and beyond to accommodate you. Food fresh and amazing , portions enough for 2 . Been going here for over 20 years , never let me down yet ..
We had a great dinner at Osteria Del Teatro. We were celebrating my husband and brother-in-law's birthdays. After our original reservation was cancelled (at another establishment), Osteria was able to get us in last-minute - and they were great. The service was attentive and helpful (we had several questions about the dishes and their advice was spot-on). The food, itself, was flavorful and delicious - and, in a few cases (the chicken parmesan), came in huge portions. We had a wonderful birthday dinner and thoroughly enjoyed ourselves. Beautiful setting accompanied by excellent food! Always best quality and originality. Been visiting this great restaurant over twenty years and never a less than outstanding experience. I would highly recommended this restaurant. 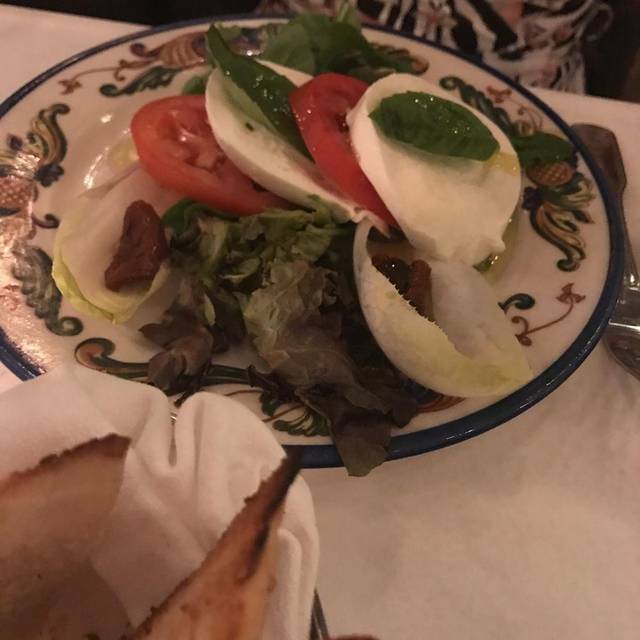 The food was delicious, authentic Italian. The service was exceptional! Everything was lovely! From the food to the service, we had a great meal and experience here. We always come here when in Miami. Ask for abalcony table.